Build healthier communities. Change the world. 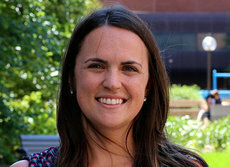 The Community Health Promotion MPH program at the University of Minnesota School of Public Health trains students to work with populations to improve health. Our curriculum emphasizes the importance of using research and social science to assess population behavioral health patterns and psychosocial risk factors; design community-wide prevention and intervention programs; influence health policies; and evaluating outcomes of behavioral health change. Connections. Partnerships with Twin Cities communities, health departments, nonprofit organizations and policy makers provide opportunities for collaboration and real-world experience. Supportive environment. Students are supported through a cohort peer model, accessible faculty, and a network of more than 10,000 alumni who are dedicated to student success. Comprehensive curriculum. Students are well-prepared with the skills needed to design, advocate for, and evaluate efforts to promote health behaviors and social conditions for populations. Personalized. Design your degree to suit your needs through electives that allow you to explore topics, populations, or skills-building. A partnership between the Community Health Promotion MPH program and the JD program at the University of Minnesota Law School. Contact Student and Academic Support Services (epichstu@umn.edu, 612-626-8802) for more information. A partnership between the Community Health Promotion MPH program and the MSW program at the University of Minnesota School of Social Work. Contact Student and Academic Support Services (epichstu@umn.edu, 612-626-8802) for more information.